When the World Happiness Report announced recently that Finland is the happiest country in the world, we Finns reacted the same way as we have reacted to other top rankings in various international comparisons: we criticized the methodology of the study, questioned its conclusions and pointed to the shortcomings of Finnish society. It’s not the first time something like this has happened. When the World Economic Forum ranked Finland as the most competitive economy in Europe in 2014, the chief executive of the Finnish chamber of commerce, Risto Penttilä, felt obliged to write an opinion piece for the Financial Times where he tried to prove that the results couldn’t be right. This time it is my duty, as a Finnish expert on well-being research, to explain why the happiness of the Finns has been greatly exaggerated. More particularly, I’ll argue that there are four separate ways to measure happiness—and depending on which one we choose, we get completely different countries at the top of the rankings. I’ll also argue that Finnish people’s aversion to happiness might paradoxically make them happier. So, how did the World Happiness Report measure happiness? The study asked people in 156 countries to “value their lives today on a 0 to 10 scale, with the worst possible life as a 0 and the best possible life as a 10.” This is a widely used measure of general life satisfaction. And we know that societal factors such as gross domestic product per capita; extensiveness of social services; freedom from oppression; and trust in government and fellow citizens can explain a significant proportion of people’s average life satisfaction in a country. In these measures the Nordic countries—Finland, Sweden, Norway, Denmark, Iceland—tend to score highest in the world. Accordingly, it is no surprise that every time we measure life satisfaction, these countries are consistently in the top 10. But when you look at how much positive emotion people experience, the top of the world looks very different. Suddenly, Latin American countries such as Paraguay, Guatemala and Costa Rica are the happiest countries on earth. Finland is far from the top, which should not surprise anybody who is aware of the reputation of Finns as people who don’t display their emotions. Things get even more complicated when we look at the prevalence of depression in different countries. In one comparison made by the World Health Organization, the per capita prevalence of unipolar depressive disorders is highest in the world in the United States. Among Western countries, Finland is number two. Paradoxically then, the same country can be high on both life satisfaction and depression. While there are significant shortcomings in international comparisons of depression and while other research has estimated that the depression rates of Finland would be closer to the global average, what is clear is that Finland is far from the top of the world as regards preventing depression. So while Finland might be good at keeping the average life satisfaction levels high, those at risk for depression might not get enough social support to cope with their low mood. Maybe that’s why Finland has the highest number of heavy metal bands per capita in the world. Finally, some people might argue that neither life satisfaction, positive emotions nor absence of depression are enough for happiness. Instead, something more is required: One has to experience one’s life as meaningful. But when Shigehiro Oishi, of the University of Virginia, and Ed Diener, of the University of Illinois at Urbana-Champaign, compared 132 different countries based on whether people felt that their life has an important purpose or meaning, African countries including Togo and Senegal were at the top of the ranking, while the U.S. and Finland were far behind. Here, religiosity might play a role: The wealthier countries tend to be less religious on average, and this might be the reason why people in these countries report less meaningfulness. What I’m trying to say is that, as regards happiness, it’s complicated. Different people define happiness very differently. And the same person or country can be high on one dimension of happiness while being low on another dimension of happiness. Maybe there is no such thing as happiness as such. Instead we should look at these dimensions separately and examine how well various nations are able to support each of them. Luckily, Finnish people might have one asset as regards happiness: The Finnish tendency to downplay one’s own happiness and the norm against too much public display of joy might actually make Finns happier. This is because social comparison seems to play a significant role in people’s life satisfaction. If everybody else is doing better than you, it is hard to be satisfied with your life conditions, no matter how good they objectively are. This is why researchers are worried that social media, where people are constantly exposed to idealized versions of other people’s lives, might make people more depressed. By not displaying, let alone exaggerating, their own happiness, Finns might help each other to make more realistic comparisons, which benefits everybody’s happiness. So, when all is said, is Finland the happiest country in the world or not? If happiness is the prevalence of positive emotions (let alone the displaying of them), Finland is not the happiest country. If happiness is the absence of depression, Finland is not the happiest country. 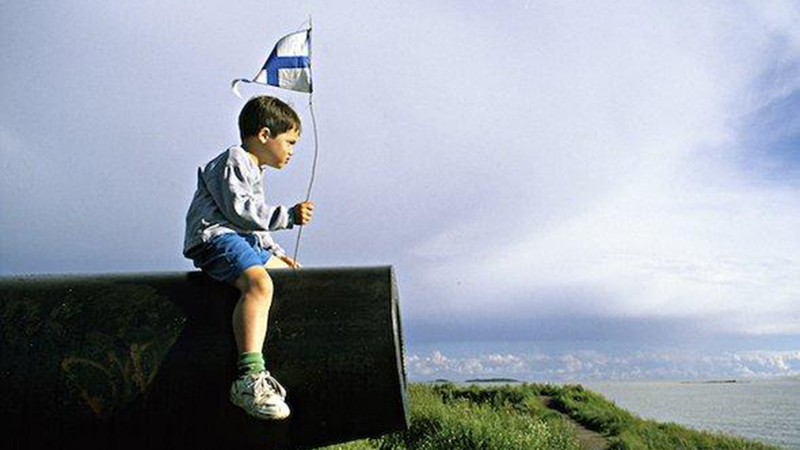 But if happiness is about a quiet satisfaction with one’s life conditions, then Finland, along with other Nordic countries, might very well be the best place to live. If you prefer to be happy in your own, understated way, then welcome to Finland!